With all the expenses involved in getting out for an evening, it is a rarity that I leave the house after dark. 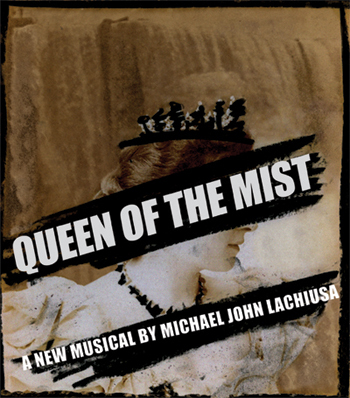 I was pretty excited when MamaDrama offered me the opportunity to see Maid of the Mist, a new musical written in its entirety by 5-time Tony nominee Michael John LaChiusa. I must admit, when I heard that the play was about Anna Edson Taylor,a 63-year-old woman in 1901 who shot down Niagara Falls in a barrel, I snorted aloud. Then guffawed. Then opted to take the tickets anyway, assuming the show would be nothing more than a laugh.